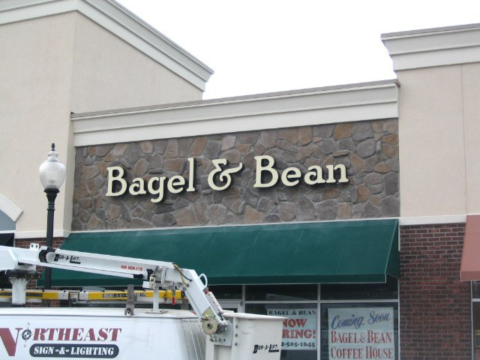 Meet with our team to design, fabricate, and install a wide range of commercial signage products! At Northeast Sign & Lighting in Point Pleasant, NJ, we know what it's like to run a business, and we want to help your business run better. 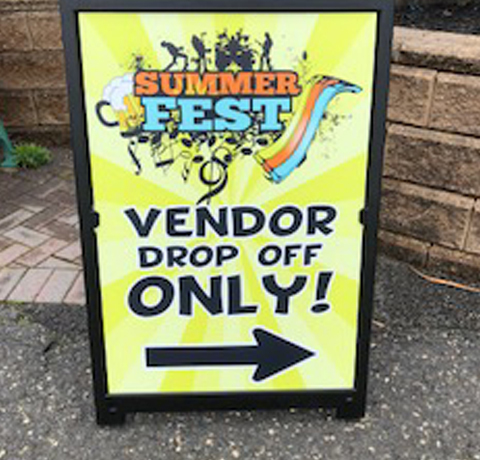 That means colorful, custom signs as well as lettering and graphics to make sure everybody sees your commercial vehicles and location. Our job is to make your job better. 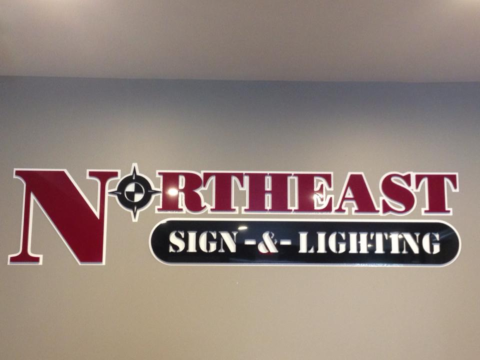 Northeast Sign & Lighting enjoys getting involved within the community. 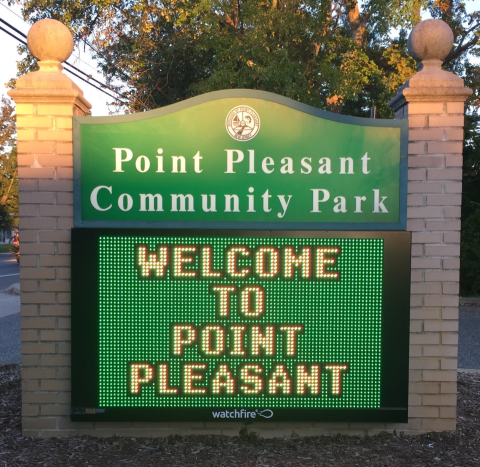 Gloria DeFalco is the President for the Point Pleasant Chamber of Commerce. Gloria is the chair person for Summerfest at Community Park. We also host the annual Chili Cook Off for the Chamber of Commerce. We have been serving the greater Jersey Shore community for almost 20 years. 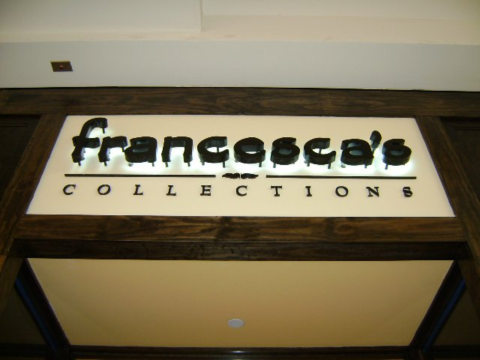 Northeast Sign & Lighting is more than just signs. We have a fleet of bucket trucks and crane service to reach those tall signs for repairs and maintenance. I have used Northeast for a number of signage projects for my business. They consistently provide knowledgeable, courteous service and timely estimates when needed. Their work onsite is efficient, clean and professional. When installing our street signs, they were very respectful of the property they were on and to the customers entering and leaving the parking lot, that's very important. I highly recommend their services, and look forward to working with them again. They consistently provide knowledgeable, courteous service and timely estimates when needed. Their work onsite is efficient, clean and professional. When installing our street signs, they were very respectful of the property they were on and to the customers entering and leaving the parking lot, that's very important. I highly recommend their services, and look forward to working with them again. They have now lettered 4 of our company vehicles...All of them look amazing! Great work, great prices, great people! Northeast Sign & Lighting - Amazing work done by some pretty awesome people! Always prompt and professional. Have used them the past two years and highly recommend them. Thanks guys. Amazing work for us. You guys truly are the best!!! Another job well done! If you are looking for signage these are the best guys in the biz. They help bring amazing designs to life and advise you on how to be cost effective...and also help out with custom projects that other guys wouldn't touch.